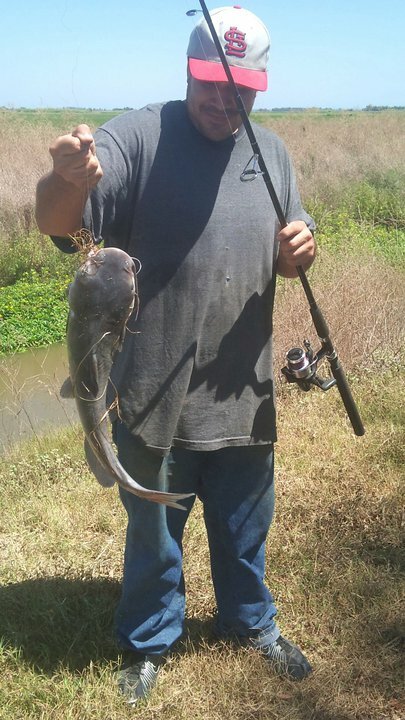 Good recon allowed my best friend to catch this monster blue cat outside of Williams, CA! Reconnaissance is a huge part of fishing! And if you’re a bank fisherman then recon is a timely process that very well could pay off if you find the right place(s). Feel free to scout the spots where you see lots of fisherman but eventually you will learn to let go of those populated fishing holes and find those obscure spots where you will not be disturbed by tangled lines and pollution. Also, make sure that you are aware of the DFG regulations in various waters or on certain types of fish.To see these regulations click the "Check these out" tab or click HERE! If you’re anything like me, then you don’t just want to fish, you want to find “the spot!” Places where you can fish comfortably possibly set up a chair, enjoy a cold drink, have shade in the summer, and a place that the water won’t cover up completely during the fall. Most importantly you want a spot where you CATCH FISH! After all, that’s the point, right? You also want to make sure that you don’t just fish one “spot” but that you have several spots. That way if they are not biting at one place or if somebody is fishing your spot then you have other spots to fish. I figured the best way to attack this issue is through answering five simple questions. This will tell you what kind of water you will be looking for. Different types of fish prefer different types of water. If it’s largemouth bass you’re looking for you don’t want to hit a fast flowing river. You will be looking for slow moving or still water. You would be looking for lakes, ponds, marshes or canals that are fed by flood waters of overflowing rivers. If you want king salmon, you more than likely aren’t going to be heading to your local pond or canal (although I have heard stories…), you will be heading to rivers and streams connected to rivers. You will be looking for dams and gravel riverbeds. And you will be making note of dams that would prevent the salmon from going further upstream. If fish are jumping that might mean they are striking at baitfish or insects on top water. Then again they might be jumping for other reasons (experts, please educate me here). Nonetheless for me this has always been a good indicator of healthy fish activity but furthermore, it is simply an indicator of fish presence. Partially its just peace of mind (for me). If they’re jumping in that area, then that means they might be hanging around, waiting for my bait to lure them in!! You see any birds around? There are expert fishermen and then there are the naturals! Cranes, hawks, eagles, or other birds are natural fishers who depend on fish to survive. Seeing these birds around feeding may be a good sign of fish activity. That could mean the presence of baitfish and/or regular size fish hanging around. If they are hanging around a specific area, then they know for a fact there are or will be fish in that area on which for them to feed. You see any feeder fish around? Ever look into the water and see little schools of minnows or other small fish swimming around in shallow water? Good sign! Fish eat smaller fish! If you have tons of small fish hanging around, you will more than likely have large fish around waiting to feed on them. Also, if you are catching small fish in an area, don’t give up, their mammoth brothers may be right behind them! Just because you are not catching anything at a specific spot doesn’t mean you aren’t in the right spot. Just because you aren’t having luck salmon fishing at a gravel bed during the heat of the summer, doesn’t mean you won’t catch tons of salmon there during Fall. I fish a spot on the River that right now is running a bit slow. Last summer I was catching limits of striper within the first couple of hours. Now during the striper run, I can’t imagine what it will be like but I’m sure it will be great! That’s it from me for now! Experts, let me know if you approve of these tips and beginners, let me know if these tips worked for you! Until then, fish on and break that bank, folks!! Enjoyed reading your tips, here. I am a seasoned angler, but, certainly not comfortable with the title "Expert"! Your reminders here are good points to remember for us all. "seasoned angler"... i like that! I'll start using it. thanks for your input! I agree with Mel. It all comes down to giving them what they want that day. 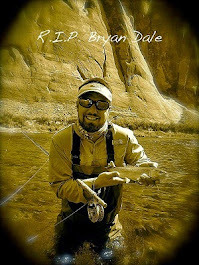 This is the main reason I carry three tackle boxes and 4 rods. Now (if you've read my last two posts) I also carry my fly gear. Good thing I have a pickup truck. That's a lot of stuff, mark! Aside from When i was a kid, i have only been fishing for a year. i am only starting to find out the vast assortment of things i can use to catch all different types of fish from shore. I'm excited for the journey though! thanks for the comment!